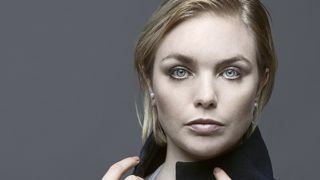 With three successful electronic albums under her belt, a collection of classical piano compositions and numerous writing credits for film and TV, Ema Jolly, better known as Emika, undertook what she considered to be her most ambitious project, writing and recording a full symphony comprising conductor, soprano vocalist and 70-strong orchestra. Untangled from her record contract and free to release music on her own Emika Records, her first move was to seek funding via Kickstarter. Entitled How to Make a Symphony, nearly 500 backers ensured the campaign exceeded its initial 25,000€ budget. Enlisting the talent of soprano vocalist Michaela Šrumová, Emika headed to Prague to begin recording, before returning to her studio in Berlin to mix the project. Tell us about your classical upbringing and how it informed this symphony project. 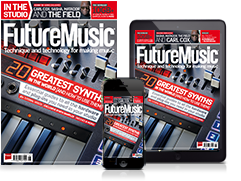 Was writing a fully-fledged orchestral score something you’d always had an ambition to do? Did you listen to classical music in your spare time and was that a necessity? You released Klavirni in 2015, which was an album of piano instrumentals. Did you see Melanfonie as the next step, further fleshing out those ideas? Explain the process of writing a score; presumably you use modern digital technology? How did you align that to how you imagined an orchestra might perform it? Do you need to be an expert in music notation in order to create a classical score? I love how immediate it is when you have a pencil and can draw in MIDI blocks and change the velocity. It felt a more fluid way to work than making notations. So you just needed to get writing and envision the composition performed by an orchestra. Was there a particular feeling you wanted to transmit to the audience through the music? How complicated was the mixing process? How did you want the listener to feel emotionally upon listening to the final product? Could you give a practical example of how you created orchestral parts that could deliver an emotional resonance? How did you go about finding a soprano vocalist, and the orchestra itself? The campaign was funded by Kickstarter. Was it difficult to figure out exactly how much money you would need to pay for everything? What sort of studio facilities did you have in the hall to capture the recordings? When it came to supplementing the music in the studio, did you try to avoid overproducing what obviously would have been a very natural and organic sound? What software did you use for production and mixing when you got back to the studio? How do you think this experience will affect your approach to composition or the type of music you release in the future? Armed with all this knowledge, can you foresee yourself moving further into soundtrack or recording a second symphony project? I’m working on my next symphony, which, conceptually, will take place before this one, but I’m thinking more cinematically in terms of stories. I love to listen to music in the dark and to do symphonies today is such a cool, weird thing to be doing. And would you consider doing another Kickstarter project? How’s your studio shaping up these days?